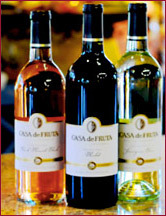 As a valued customer, Casa de Fruta appreciates your business, and would like to offer you an opportunity to join our Wine Club! 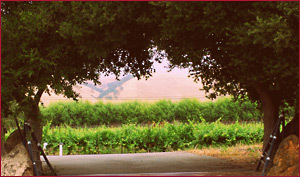 Our winemaker will be selecting the wines in each shipment for you to enjoy. One or more selections each year will include a bottle of one of our festive champagne varietals: Pomegranate Champagne and Traditional Brut. Quarterly shipments ranging from $23-$28 plus shipping. Members who wish to pick up their quarterly shipments need not pay a shipping fee. Your credit card will be billed automatically to your billing address on file. Shipping restrictions apply. Note: Shipping restrictions apply. Like most family wineries, our permit only allows us to sell wine to AK, CA, FL (excluding Lafayette, Liberty and Washington counties), MN & DC. Wines may be delivered only to persons who are at least 21 years old. In order to receive your shipment, a person of at least 21 years of age must be present to sign for the wine at the time of delivery. Club membership is ongoing. Upon joining the Wine Club, a minimum of 2 shipments is required prior to cancellation. Cancellations must be made by phone or email no later than 30 days before the next shipment, which occurs on the beginning of the months of February, May, August and November. 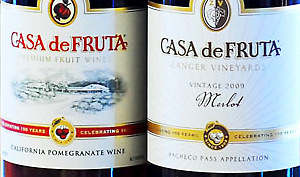 Casa de Fruta Wine Club benefits are subject to change at any time. Wine Club members that sign up during a wine club shipment month (February, May, August, November) will receive their first wine shipment the following quarter.